Meaning of Station Name - named after the Waikato town in which it was established. The town itself was named after Captain John Charles Fane Hamilton, who was killed at the battle of Gate Pa in Tauranga in 1864, the year the town was established. When the Japanese entered the war in December 1941 it became obvious to RNZAF planners that the enemy aircraft carriers could strike New Zealand easily and wreak havoc upon our military infrastucture. Until this time No. 1 Stores Depot was the only RNZAF storage facility and it was situated at RNZAF Station Hobsonville, which is on the coast. So it was an easy target to any invading force, and without supplies an Air Force cannot defend its territory. Thus urgent plans were made to disperse the stores to safer places, and to more than one place. This meant that several new Stores Depots were to be created. They had to seek locations safely inland that were out of reach of carrier-based fighter-bombers but also on the main trunk railway line and close enough to be useful to operational stations. Originally the Stores Depot to service Aucklnd, Northland and Waikato stations was proposed to be established in the Franlin District. However it was reconsidered after this was decided to still be too close to attack. So Hamilton was chosen. Hamilton happened to have a building called Bledisloe Hall, also known as the Winter Show building. This was the largest freestanding structure in New Zealand, not having any poles inside the hall space. The roof was all supported by the trusses, like a hangar. This building was deemed ideal and was commandeered for the site of the new No. 1 Stores Depot. This was planned as a temporary measure, with plans underway to build a new purpose built station north of Hamilton, in the farmland countryside area called Te Rapa. This station was destined to become the permanent No. 1 Stores Depot, whilst Bledisloe Hall fulfilled the role while it was built. No. 1 Stores Depot occupied the site from the 21st of _June 1942 till the 10th of April 1943. As soon as Te Rapa's construction was complete, the unit moved out of Hamilton andinto their new home. And once the stores depot was gone, a new unit moved into Hamilton, No. 1 Repair Depot. Or more correctly No. 1 Aircraft and Engine Repair Depot. This unit spanned two stations. 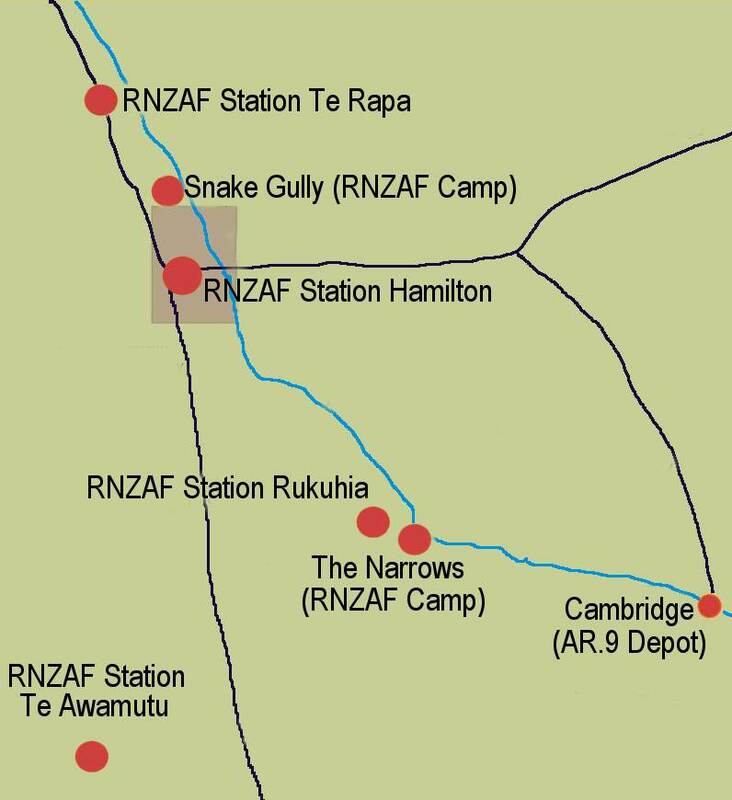 The aircraft repair portion was largely based at RNZAF Station Rukuhia, just south-east of Hamilton. The engine repair division occupied Bledisloe Hall and soon set up an incredible production line that saw many hundreds of engines of all types overhauled and reconditioned to return to service. 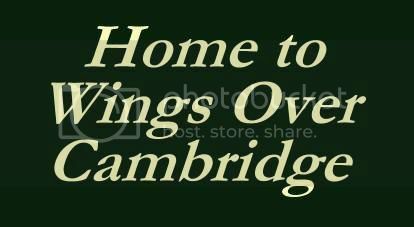 As well as Bledisloe Hall, the No. 1 RD began to creep out into the town and take over all sorts of empty spaces. Obvious places for an engine repair unit to take over was car garages, and as these had largely suffered a downturn due to their mechanics being called up for military service and cars being off the roads due to petrol shortages, several stood empty. An instruments section was also established, and several other ancilliary units. To support the repair units there were other establishments around the town. A Motor Transport section was established in Ebbett's garage. Offices for the admin and accounting staff were commandeered. the Station Commander, who was responsible for both RNZAF Hamilton and RNZAF Rukuhia, had an office above a garage in north Victoria Street. Shops and businesses all down Alexandra Street where today the Farmers department store stands became workshops. And as hundreds of staff were brought into the town, accommodatio had to also be established. A camp was erected near Palmerston Street where canvas-roofed huts accommodated airmen. More huts were erected north of the town centre in a dank area that was to become known forever as Snake Gully. And for the many WAAF's that did administrative duties, three hotels were taken over. these were the Central Hotel, the Riverside Hotel and the Hotel. Here is an interesting article from the New Zealand Herald that gives a first hand insight into the activities around the station, and as all RNZAF business was usually hush-hush, this is probably the first instance that many Kiwis would have learned of the work being done at all three of the Hamilton stations. Few people in the Waikato realise the magnitude and importance of the work that is being carried out by the Royal New Zealand Air Force in their midst. Only a specially-arranged tour of inspection reveals extensive, varied, and highly technical character. But there is an acute shortage of certain skilled technicians, such as instrument repairers and electricians, as well as butchers and mess hands. The Air Force Repair Depot has the responsibility of keeping all the operational training aeroplanes in New Zealand and many of them engaged on operations in the Pacific war zone in a state of efficiency. The wear and tear on machines operating in the Pacific is very heavy, owing to the trying climate conditions and the fine dust which rises on the landing grounds and gets into the engines. All internal repairs are carried out at the depot. At first the repair shop concentrated on twin engined aircraft, but now engines from all types of aircraft are handled. Machines arrive at the Waikato airport for overhaul and refit every day. Many of them are from the Pacific zone. They range from huge 24-seat transport planes to midget two-seat runabouts. In between there are twin-engined reconnaissance planes, medium-sized bombers, dive-bombers, and fighters. As many as 27 machines were awaiting overhaul on one day recently, and the officers in charge were at their wits end to cope with the work owing to the shortage of manpower. All the work was of an urgent character. A great deal is done at the hangars in checking over the machines and their intricate apparatus. Damaged wings are repaired and refabricated on the spot, while the engines are replaced by others that have been through the engine repair depot. The overhaul of an engine is an immense job, calling for many delicate and highly technical operations. The engine may be of a type capable of generating 1200 horse-power or a 2000 horse-power unit, weighing up to one ton. Very little actual handling is done, the most modern labour-saving devices being introduced to ensure economy of time and thoroughness in connection with the overhaul. The American line system has been introduced in one large hall and a completely tested and adjusted engine rolls off the chain every four hours. A clean, businesslike atmosphere pervades the workshop. The testing appliances are delicate and many of them have been made on the premises. Residents have often been puzzled by a tower. It is in this that parachutes are aired and dried. Specially-trained WAAF's care for the beautiful silk fabric from which the parachutes are made. The equipment is unpacked at regular intervals and inspected and repairs are made where necessary. In another department aircraft propellors are repaired and tested. Many aircraft parts are unobtainable when required, but the ingenuity of the craftsmen employed in the depot has always been equal to the occasion, and parts are designed and made on the premises. Under another roof a great variety of intricate repair work is done to cameras and other apparatus. Lathes and other heavy machinery, some operated by WAAF's are housed in adjoining premises, where parts are made. In addition to the repair depot the Air Force has huge stores "within 100 miles" of the area. 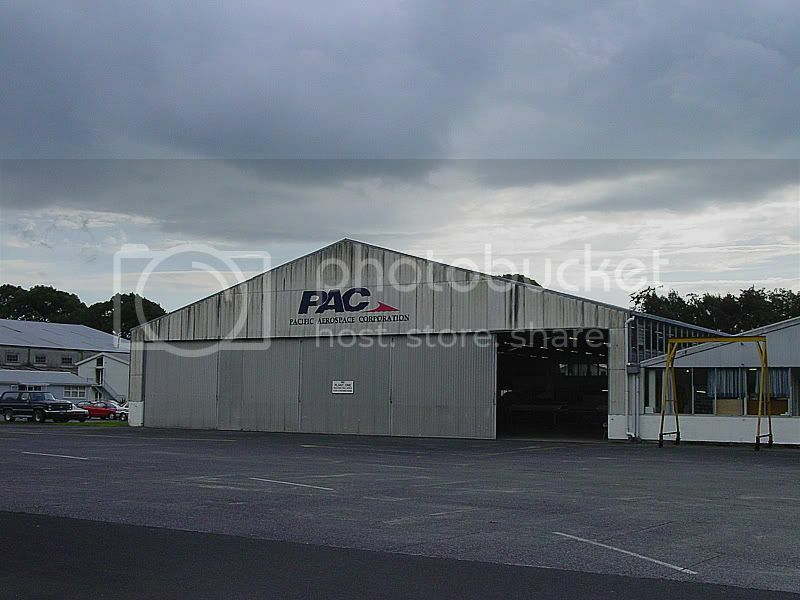 These service air stations in the North Island, and contain an enormous quantity of equipment. There are also schools for the training of craftmen, a hospital, headquarters, and pay departments, and several camps and hostels, all of which are required to be serviced by Air Force personnel. It is not difficult to understand that the station is undermanned and that many hours of overtime are required to be worked in order to cope with the work. The vital importance of the task undertaken at the station in relation to the war effort is in evidence throughout. No RNZAF presence is left in Hamilton city centre since the closure of the RNZAF recruiting office in Knox Street in the late 1990's. Most of the buildings used as workshops, administrative offices and accommodation have since been demolished and new buildings stand on their sites. A small handful of original RNZAF properties from the station do remain though. Named after the famous farm in the then popular Australian radio comedy series Dad and Dave, which was a hit with kiwis too and obviously airmen, Snake Gully was an accomodation camp in the north of Hamilton. Airmen were billtted in primitive huts here, in an area just opposite the western end of Fairfield Bridge, off Victoria Street. Today the area is the site of the Hamilton Badmiton Club I believe, but in the mid-1940's it was the bain of many an airman who lived in the squalid area, which flooded easily and thrived with insects. They marched each morning and evening to and from Hamilton centre, where the men worked at No. 1 RD, and other depots in the town. Note: I refer to the town of Hamilton, rather than city, as Hamilton did not achieve its city status till late 1945, after the war. This site was used as an aerodrome from 1933 onwards when the Waikato Aero Club relocated from their Te Rapa strip to this piece of land on Jack Steele's farm. The location had seen much aircraft usage before that when the initial airstrip was set up on Steele's farm in the late 1920's. The club bought the piece of land and this became Hamilton's main airstrip. It remains so today. In 1942 it was decided that the aerodrome would be developed for RNZAF use. The Air Force planned to set up their main repair depot at Hamilton, and No. 1 Repair Depot would be established in both central Hamilton for engines, instruments and other components, and at Rukuhia where airframe work, painting, etc would be carried out, as well as test flights. Land was acquired from six farms surrounding the existing airstrip to enlargen the airfeld to station size. Work began on the airfield on the 7th of August 1942, under the leadership of Wing Commander Esmond A. Gibson. Two runways were laid by No. 1 Aerodrome Construction Squadron, who's members had escaped from Malaya and Singapore during the Japanese invasion there. The runways were large enough to receive all if the RNZAF's multi-engined aircraft at that time, except for the Catalinas and Sunderlands that arrived later in the war as they were non-amphibious flying boats of course. All single engined types could land there in 1942 except for the P-40 Kittyhawks. An extension later allowed this type to operate from the airfield safely. The airfield officially opened as an RNZAF station on the 12th of August 1942. Construction on facilities continued though, and it wasn't till October 1942 that the building work was completed. Two new hangars were built, which remain on site today, and the third, No. 3 hangar from Whenuapai, was dismantled and brought to Rukuhia where it was erected for the duration of the war. After the war, it returned to Whenuapai where it's still in use. Smaller dome hangars were also erected during the war, and many other ancilliary buildings. Later a further 266 acres was acquired to expand the airfield. 157 of these acres was acquired from Mr Thomas Henry Henderson on the 24th of December 1943 to expand again. At its peak, Rukuhia had 1800 officers and men working on station. From what I'm told no WAAF's worked there as all the clerical work for the station was done in town at RNZAF Hamilton. Most of the Rukuhia boys were billetted at the Narrows Camp, which is down in the gully beside the Waikato River. The main function at Rukuhia was the base received aircraft that had been in the Pacific war zone, both RNZAF and US aircraft, which were eother due a major servicing or perhaps damaged. Also engines from the Pacific would be shipped down to the station. The Airframes would be stripped of its intstruments and engines that needed work and these would be taken into the various workshops in Hamilton. when engines had been overhaulled in the production line in Bledisloe Hall, they'd be mounted on a test truck and driven to the wilds of Te Rapa where there was no-one to disturb, and run till they were ready to be refitted to an airframe. these engine run tests occurred continuously at Te Rapa 24 hours a day, that's how many engines were coming through No. 1 RD. The engines, instruments and bits would all return to Rukuhia and be refitted to the aircraft, which would have had all its skins and frames and other components checked and repaired where necessary too. Once reassembled, a test flight would check the workmanship, and then it would return to service. As well as engineering trades working on the aircraft there, Rukuhia was also home to No. 203 Aerodrome Defence Unit. The ADU personnel were made up of new aircrew recruits who's usually done their basic training, sometimes not even that, and they were awaiting space on a course. They were gainfully employed patrolling perimeters, guarding picketed aircraft and performing other security related tasks. Meanwhile they also did at least 20 hours a month undergoing instruction in things like navigation and topics that would be useful to them when they moved onto their course. An open day was held at RNZAF Rukuhia so the Waikato public could see both flying displays and also view the work on No. 1 Repair Depot. Towards the end of the war the station also became home to an aircraft storage unit for older types being pulled out of frontline service and held in reserve. These were all inhibited and lined up on the airfield perimeter. Certain parts of No. 1 RD were stationed at Rukuhia, no doubt the likes of aircraft assemly and testing after engine overhauls, and also repaints, etc. If anyone has any further information on what occurred at this unit within Rukuhia I'd like to know please. From 1944 a number of aircraft were gradually withdrawn from use as newer models came into service. The older ones were sent to Rukuhia to be inhibited and stored till they were required for further use, or any other decision on their future was made. As it happens, most remained there and after the war were sold for scrap. The scrap dealers set up at Rukuhia so aircraft were seen on the airfield in storage awaiting the smelter into the early 1970's. A camp for airmen who worked at Rukuhia was established at the children's camp at The Narrows, an area beside the Waikato River where the river narrows to dangerous rapids. The airmen marched to and from this camp to Rukuhia each day. Sources include 'Rukuhia: 1920-2000' by Colin Zuppicich, and personal interviews. Meaning of Airfield Name: Named after the town in which it was situated. RNZAF Station Te Awamutu was a Stores Depot, Originally this station was built by the NZ Public Works Department for the US military forces. But near to completion they decided it was unsuitable for their purposes, and it was taken on by the RNZAF. 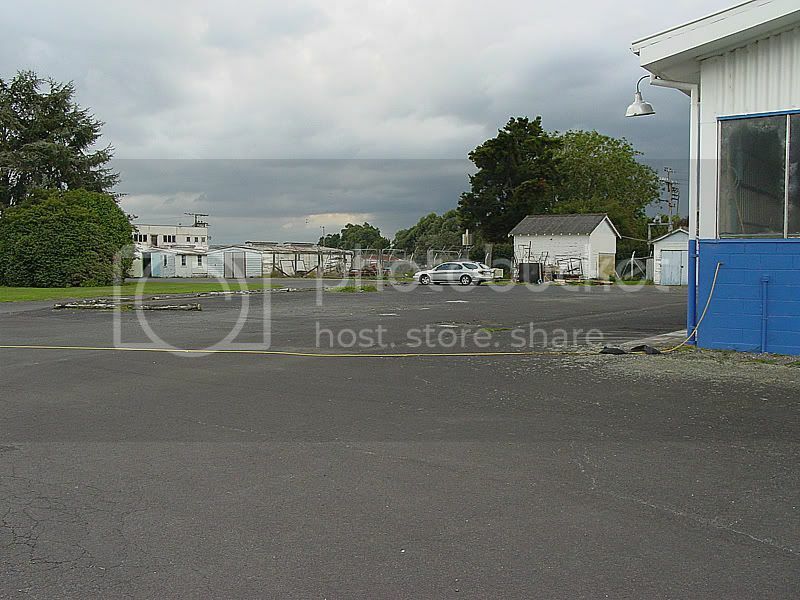 It was served by road and rail, the railway siding being just north of the Te Awamutu railway station, on the east side. It now goes into the dairy company's 'dry store', but is still more commonly called the 'Air Force siding'. Today the buildings and siding are apparently used by the Te Awamutu dairy factory, owned by Fonterra. I have tried to locate the former station without success. From what I have been told, No. 4 Stores Depot was established in the town of Te Awamutu primarily to supply No. 1 Repair Depot at Rukuhia. Other stores depots at the time were located at Te Rapa in Hamilton, Mangaroa near Upper Hutt, and Weedons near Christchurch. 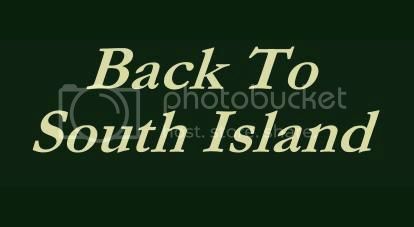 Thanks to Tim (also known as Pukerua2003 from Tranzrailphotographers@yahoogroups.com) for the info about the Te Awamutu railway sidings. Today this is Raglan airport, which is used by light aviation and topdressers, etc. 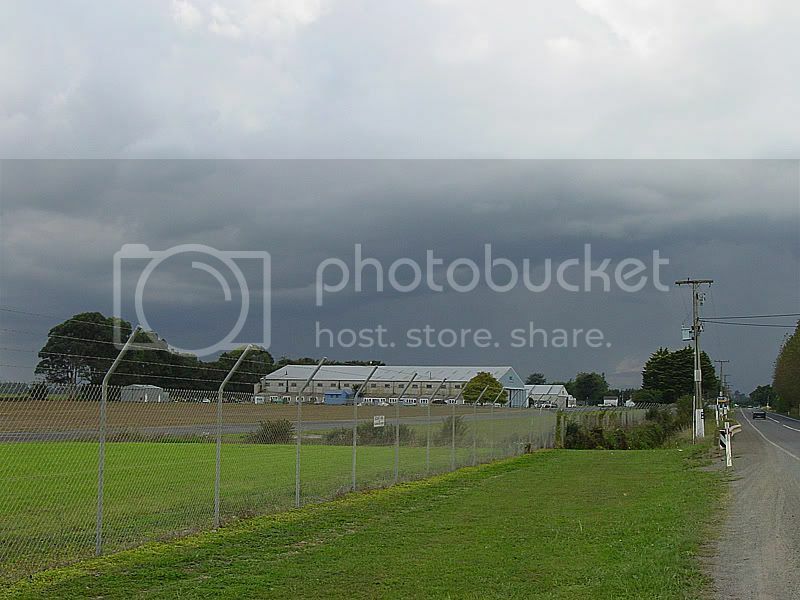 This aerodrome north of Matamata was built by the Royal New Zealand Air Force to become an auxiliary airfield, to be used only in the case of emergency, such as a Japanese invasion, if other airfields were put out of action. The site had been chosen by and developed under the guidance of Flying Officer Arthur Bradshaw, of the Aerodrome Services Branch of Air Headquarters. It was constructed with reinforced grass runways in order to be able to take bombers as large as Boeing B17's if necessary. A small skeleton staff was based there, just a handful of men, who were apparently administered by RNZAF Hamilton. Reserve fuel was kept for this airfield at the AR.9 Fuel Depot in Cambridge. Today Waharoa is Matamata's aerodrome, and though no passenger services operate in and out of the airfield, it has a healthy recreational usage, with a strong glider club and parachuting fraternity, among other light civil aviation users. 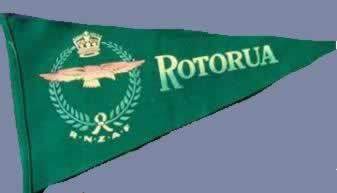 The aerodrome is also home to the Matamata R/C model club. This site was chosen in 1942 by Flying Officer Arthur Bradshaw, of the Aerodrome Services Branch of Air Headquarters, to become an RNZAF airfield. It was approved as such by HQ, but was held in reserve. It is unknown whether any actual development of the airfield was made at that time. Tauranga Airport opened on the 18th of January 1939, and in 1940 it was requisitioned for the RNZAF. The main hangars were built in 1942 by the Public Works Department. This station housed the Central Flying School, which was where the instructors were trained before going on to teach new pilots to fly. The Central Flying School moved to Woodborne in late 1944, so this may have meant the closure of RNZAF Tauranga - can anyone confirm if this was the case? After the war the aerodrome reverted to civil use, and airline services began from the airport in 1946. The airport continues to service the region today. 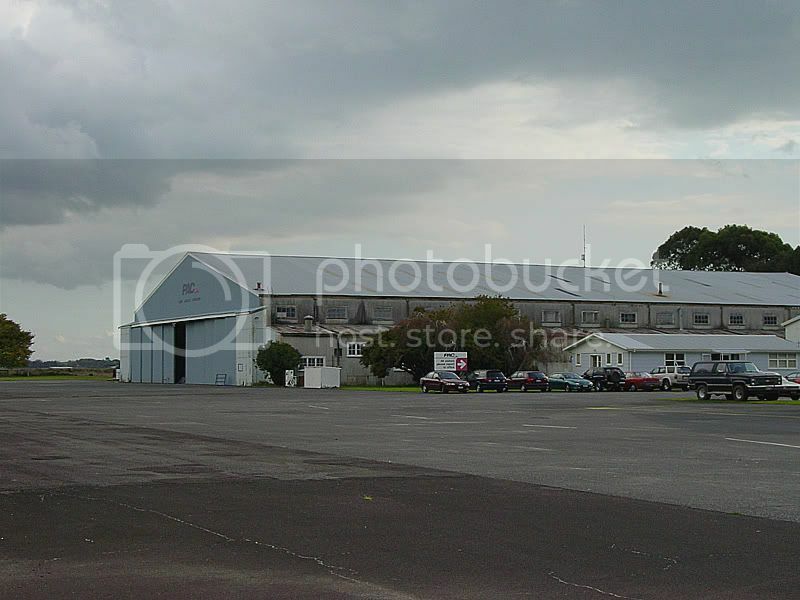 Tauranga Airport is an active aerodrome with several airline services, an aeroclub, a glider club and microlighting. There is also the Classic Flyers Museum which reflects the history of aviation in the region and New Zealand. A very progressive airport, and fast growing, sadly the building of much new infrastructure for the expanding local aviation community has meant the wartime RNZAF hangars and most other buildings have been demolished. The Rotorua airport was also taken over by the RNZAF in August 1942. Up till that time Stan Blackmore's Waikato Aviation Co. Ltd., had continued to operate when most other aviation businesses had been closed down or taken over by the RNZAF. But in August 1942 his facilities were needed and so his aircraft were put into long term storage till after the war. After the war the hotels and businesses used by the RNZAF for accommodation and classrooms, etc, were returned to their original roles. Opened for RNZAF use - ?